This year has certainly been a tough year for the food industry. The influx of food recalls and outbreaks have caused apprehension across all levels of the food chain. While the specific reasons behind many of the recent recalls and outbreaks are still unclear, one thing is certain and that is some level of change is needed to more proactively track and respond to food safety concerns. The introduction of new rules and regulations, including the Food Safety Modernization Act (FSMA), is prompting many processors to reevaluate their food safety and sanitization practices. 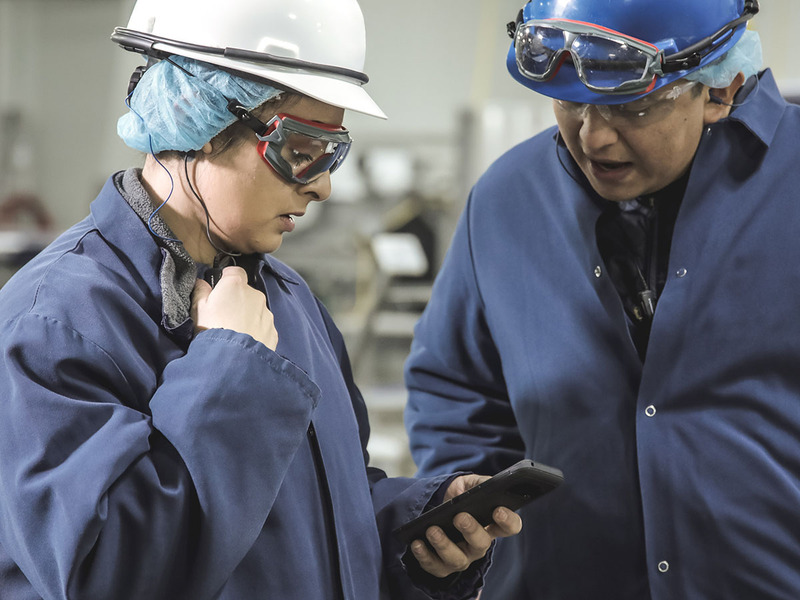 FSMA is applying more of a science- and risk-based approach, requiring processors to have more detailed documentation of a food safety plan and be able to produce data proving adherence to that plan when the FDA shows up for a plant inspection. Manufacturers must show that best practices are being followed and follow-thru action in the instances where concerns may arise or face potential fines or temporary shutdown of production. In an industry not traditionally known for being the trailblazers of new technology, phrases like digital transformation, big data, and cloud migration had seemed like a foreign concept. But it’s no longer a choice. The industry needs to wake up to the fact that data is our friend and, if used appropriately, can significantly help mitigate risk and improve food safety. Specifically, in the sanitization process, there is a distinct science-based, data-driven approach that can be used to document and report on the consistency and effectiveness of each cleaning process. However, without the right experience or specific microbiological training, it is hard for a processor to know what to document, how to document it and why it matters. For instance, as part of standard operating procedures, our team at PSSI always monitors and documents four key factors that can influence a successful cleaning process – time, temperature, concentration of cleaning agents and mechanical force (i.e. water pressure). If any one variable as part of the sanitization process is off, it can impact the overall effectiveness of the cleaning. This is the type of risk-based data that can be applied as part of FSMA reporting and compliance. However, the real opportunity in modernizing food safety is more about the visibility of that data and how it can be used to adjust the sanitization processes in real-time. PSSI is one of the first sanitation providers leading the charge on the implementation of a new real-time data monitoring platform to do just that. The company’s new system currently in testing, enables sanitors to record data on the floor that can be easily shared or accessed by other key stakeholders to perform real-time analytics and make adjustments if necessary. Traditionally, sanitation data would be recorded with a pen and a piece of paper on a clipboard as part of a nightly sanitation log. And while some of the information was tracked and used to adjust certain factors, the visibility across the entire sanitation team was limited. The new system also has the ability to provide alerts and notifications regarding changes or updates that need to be made. This is particularly important given the unique environment sanitors work in where it is fast-paced and can be difficult to communicate. PSSI has received extremely positive feedback from its employees and many of its processing partners who have been part of the initial pilot program of the new technology. From internal communications to seamless coordination with USDA and FDA inspectors, it has transformed the sanitation process. Employees feel more confident and empowered to manage the sanitation process and partners feel armed with the right information and data to focus on managing the needs of their business.